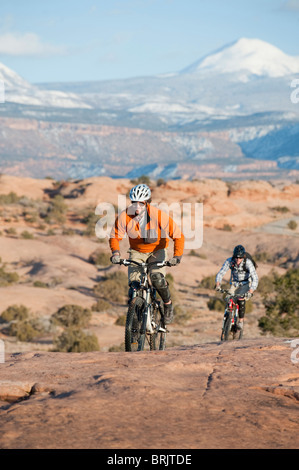 Moab, UT Mountain biking on the Moab Slickrock Bike Trail. 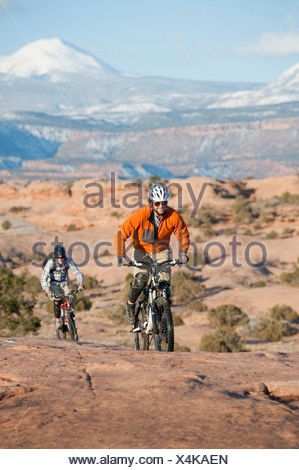 Navajo Sandstone. 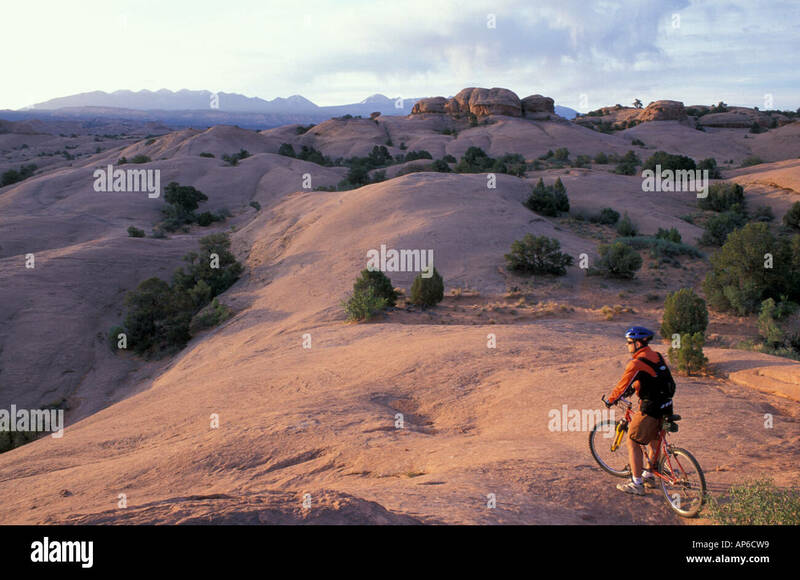 BLM land. 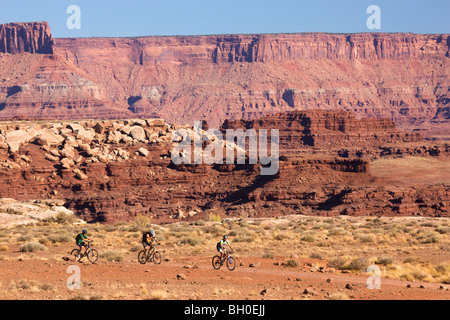 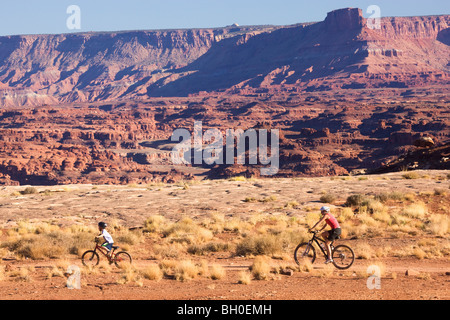 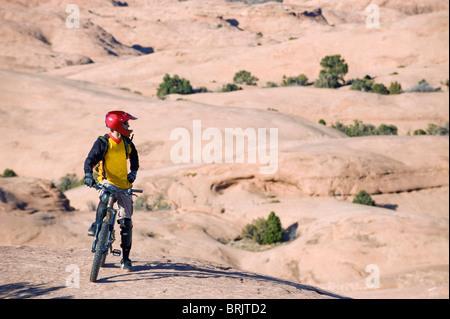 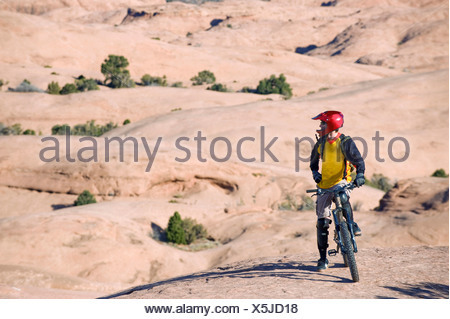 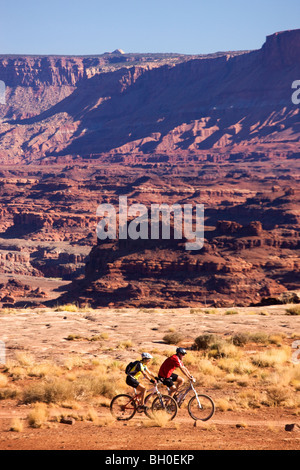 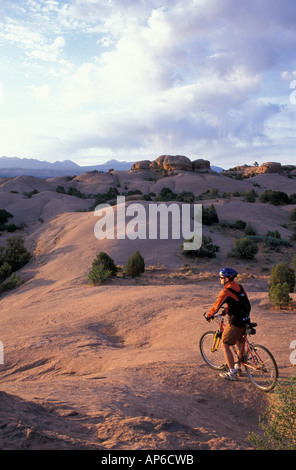 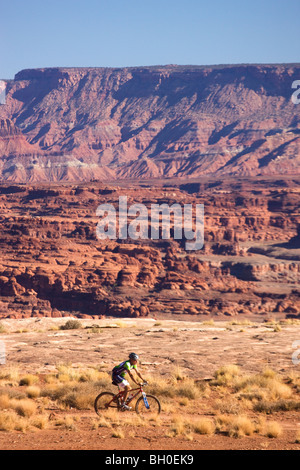 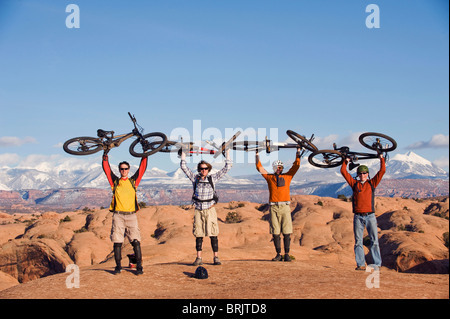 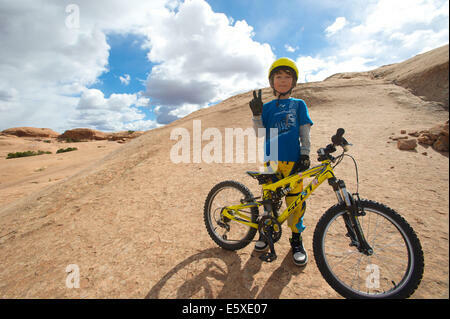 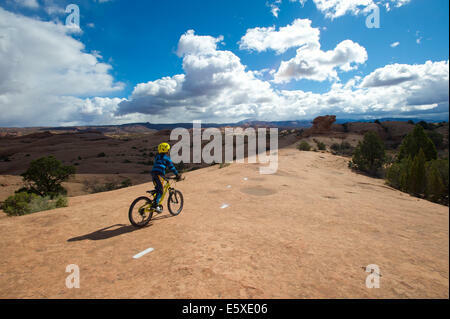 Four young men hold their bikes above their heads on the Slickrock Trail, Moab, UT.